Diane Cohen, Ph.D. is a highly trained and skilled psychotherapist and has been working in the field of psychotherapy for over 25 years. Dr. Cohen specializes in psychodynamic psychotherapy and provides long term and brief counseling services. She is experienced with adults, adolescents, couples and families struggling with emotional issues. Her training specialties include relational psychology and a mutli-dimensional approach to finding solutions to life’s difficulties. She has done extensive work and research in addictions and eating disorders/body image and consults with the Tang Center at UC Berkeley. Her areas of expertise include; Depression, Anxiety, and Transition challenges, as well as trauma and grief reactions. She strives to provide a safe environment in which to identify, explore and resolve conflicting issues for all of her clients. Dr. Cohen is also a supervisor in the field of psychology, and is licensed by the Board of Psychology of the State of California to practice as a clinical psychologist. Over the years Diane has helped many individuals and families to overcome their emotional struggles so that they can return to a balanced and satisfying life. 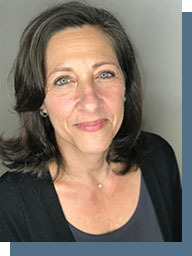 Diane attended UC Santa Cruz as an undergraduate and earned joint Bachelor degrees in Psychology and Women’s Studies, she received a Masters Degree and Ph.D. in Clinical Psychology from The Wright Institute in Berkeley California.